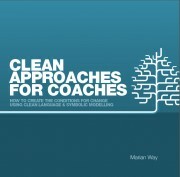 Penny Tompkins and James Lawley's Foreword to Clean Approaches for Coaches: How to create the conditions for change using Clean Language and Symbolic Modelling by Marian Way (2013). The book is a series of stories from Caitlin Walker's first meeting with David Grove to the development of Clean Modelling for groups and contains the principles and models underpinning Systemic Modelling. It's as relevant to business leaders as it is to parents, to organisational development as it is to creating learning communities. 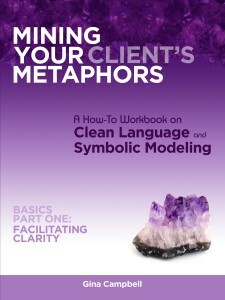 Mining Your Client's Metaphors: A How-To Workbook on Clean Language and Symbolic Modeling Basics Part I: Facilitating Clarity by Gina Campbell. If you're a therapist, counselor, coach, or other healing professional, you can make a quantum leap in your ability to assess, clarify, clear blocks and encourage transformative change by learning to use your client’s internal metaphors to full advantage with Clean Language and Symbolic Modeling. Used as a self-study tool or a course text, this workbook will empower you with effective and flexible new tools to use alone or integrate with what you already do. Criteria for Certification as a Clean Facilitator – Level I. The Remote and Extended Credit Assessment Process. 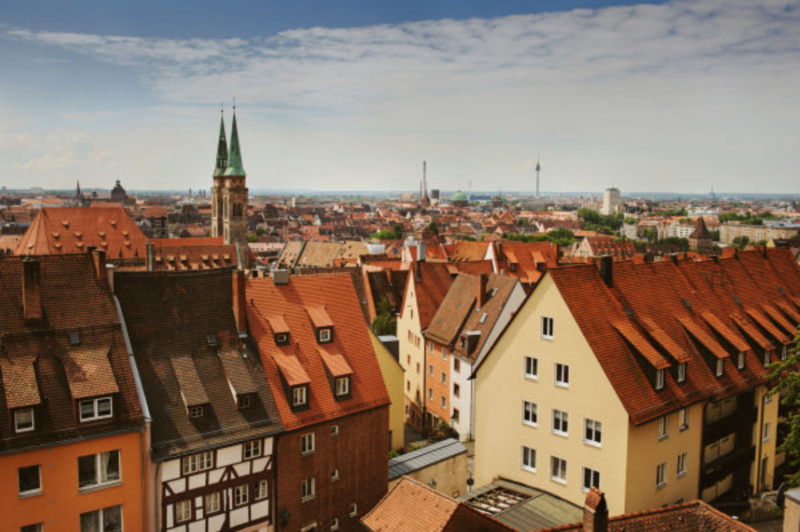 Assessor Criteria and list of Assessors. Whether you make The Five-Minute Coach your coaching method of choice or you use it as an add-on to your existing way of coaching you will be astounded by the results. And you’ll make even more of a contribution if you integrate clean questions into your everyday conversations so that asking them becomes a natural way of supporting people to trust their own counsel. It is only then that you will discover the true value of this book.